2427 Mid america Industrial Dr. 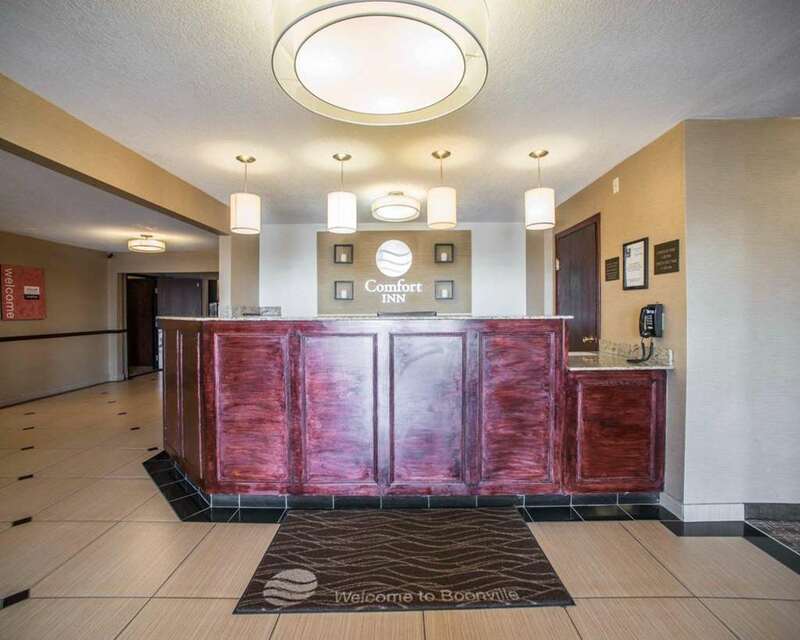 Behind every great day is a great night at the Comfort Inn Boonville - Columbia hotel in Boonville, MO located off Interstate 75. This smoke-free, pet-friendly hotel is near destinations like Isle of Capri Casino, Les Bourgeois Winery and Vineyards, Boones Lick State Historic Site, University of Missouri and Missouri, Kansas and Texas Railroad Depot. Enjoy amenities like free hot breakfast, free WiFi, guest laundry facilities, indoor heated pool and a hot tub and a business center. Guest rooms include HDTV, coffee maker, hair dryer, iron and ironing board. Also, earn rewards including free nights and gift cards with our Choice Privileges Rewards program.